As a long-standing provider to network operators, Socomec has continued to innovate its product offerings for the performance of low voltage networks. Discover our metering, switching and Energy Storage solutions and how they support the energy transition. 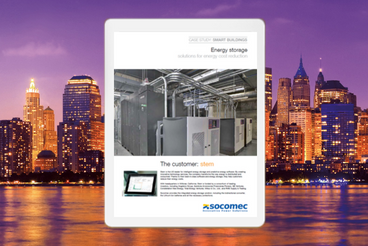 The US leader for intelligent energy storage and predictive energy software has chosen Socomec to work on energy storage projects.